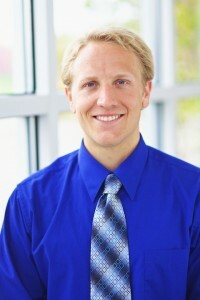 Dakota Dental’s Dr. Isabella is one of the few general dentists in Minnesota who provides his own sedation dentistry. Visiting the family dentist does not have to be an anxiety-filled event. Dakota Dental realizes that many people experience significant fear and worry about going to the dental clinic – which is why Dakota Dental offers a different kind of dentistry that includes sedation dentistry. By taking measures to ease the concerns of patients, Dakota Dental family dentists are working to make the dental care experience as pleasant and comfortable as possible. Sedation dentistry is a very valuable tool in this effort. Sedation dentistry involves using a combination of medications that helps patients relax while blocking pain. Traditionally, these medications are administered by dental care staff through intravenous drip or oral methods. However, at Dakota Dental, the actual sedation is administered by Dr. Bennett Isabella. As one of the very few general dentists in the state of Minnesota who provides his own IV sedation, Dr. Isabella is fully versed in administering and monitoring pediatric sedation and the sedation of adults. In fact, he participates in continuing education opportunities to broaden the aspects of the sedation dentistry performed at Dakota Dental. Already this year, in February, Dr. Isabella spent time in Las Vegas at a continuing education conference dedicated to sedation dentistry. Learn more about Dakota Dental, its comprehensive range of services, and the sedation dentistry options available by calling 952-431-5774.